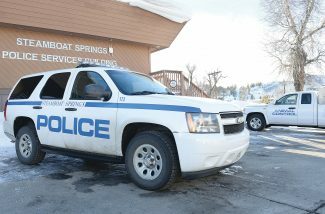 1:13 a.m. Steamboat Springs Police Department officers were called to a report of a drunken pedestrian at a bar in the 2300 block of Mount Werner Circle. 10:23 a.m. Steamboat Fire Rescue firefighters were called to assist ski patrol at Steamboat Resort. They responded to the ski area one more time Saturday. 11:14 a.m. Routt County Sheriffs Office deputies responded to an unknown injury crash in the 37040 block of William William Road near Steamboat Springs. 11:22 a.m. Officers were called to a disturbance on Third Street. 12:59 p.m. Deputies, Oak Creek Fire District firefighters and Steamboat Fire Rescue firefighters were called to a report of an unknown injury crash on mile marker 53 on Colorado Highway 131 north of Oak Creek. 3 p.m. Deputies and Oak Creek Fire District firefighters were called to a report of an unknown injury off-highway vehicle crash on mile marker 4 on Routt County Road 16 near Oak Creek. 10:46 p.m. Deputies and police officers assisted a motorist on Routt County Road 14. 11:24 p.m. Steamboat firefighters responded to a fuel spill at the Routt County Detention Center. 11:31 p.m. Officers were called to a report of trespassing in the 1500 block of Shadow Run Court. 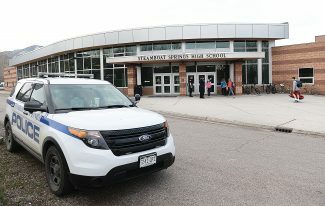 Steamboat police had 20 cases that included calls for service and officer-initiated incidents such as traffic stops. The Routt County Sheriff’s Office had 16 cases that included calls for service and officer-initiated incidents such as traffic stops. 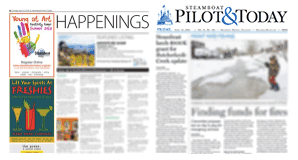 Steamboat Springs Fire Rescue responded to ten calls for service. Oak Creek Fire Protection District responded to three calls for service.